Want to find a really good woman? Look for one that honors and reveres the LORD with all of her heart, soul, mind, and strength. Appearance, physical strength, and even personality can change and degrade. 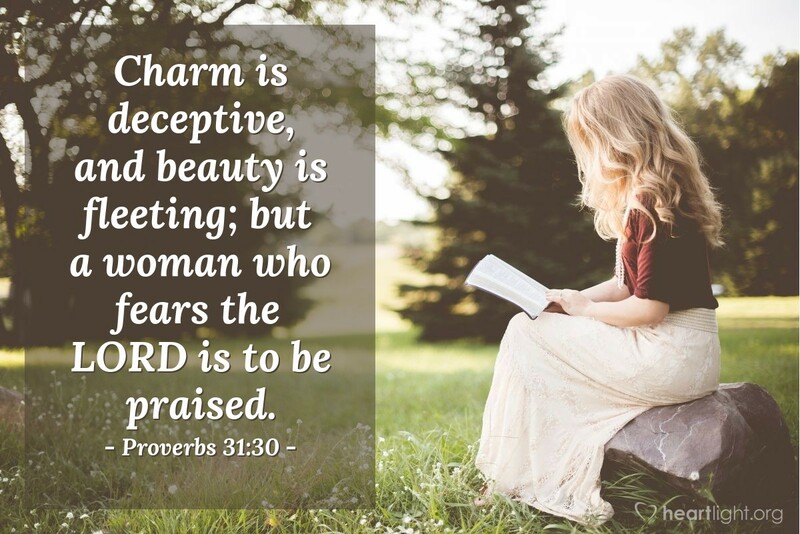 A woman whose heart is anchored and enlivened by the presence of God in her life will be a life-long blessing and a woman worthy of our praise, and the praise of her God. Father, once again, I want to thank you this week for the important women in my life who helped shape my faith and who helped me find my way to you. Please help me to value godly women in ways that bless them, honor you, and build up your Church. In Jesus' name. Amen.